Here are my personal recommendations for top quality products to make your life a blessing! If there was a way to recreate someone you had lost due to an unexpected death with the only exception being that they were not physically real, meaning you couldn't go see them, but in every other aspect they were as real as you and I, would you be interested? What about having the perfect wife or husband? One you could create from scratch and be everything you ever wanted, a great listener, a romantic at heart, or someone who simply gave you everything you needed to hear and kept all your secrets? Perhaps a best friend you could confide in, but one that would only be there for you anytime you needed them? A sister or brother you always wanted but never had? Would you be interested? Consider that such a reality could literally be just months away from being a reality. Just as convenient as Facebook is to your need to touch base with people, now you could create that virtual person who would act, sound and look like a real person. You might just want to visit the latest website known simply as Virtual Friend Me, an excited new social media site that offers something more than Facebook or My Life could ever dream of, and it's all Free. Of course if you want a more personalized friend whom you can "see" you might want to sign up for the Premium Plan for only $15.00 a month. It guarantees your "friend" will be there whenever you want, simply a mouse click away. Now you've gotten a taste for the latest suspense thriller from author John Faubion who has created a concept that is chilling you can envision something like this truly on our horizon in the not so distant future. Now that Rachel Douglas has been having a difficult time with raising two children while her husband spends so many countless hours working at the office, it would be nice if she only had her close friend Suzanne to confide with, but she died. When she learns about a new social media site, she enlists her husband Scott's help to see if he is fine with her creating an online friend. Knowing how alone Rachel has been especially with him logging in so many hours to making a dent working on his latest clients stock investments, he's been warned unless they start to see results, he will find himself out of a job. If only he had someone to confide in, like Rachel does with her new virtual friend. Someone he can confide in that won't see him as a failure if his latest investment idea doesn't work out as planned. What harm can there be if Scott creates a virtual friend as well. Only both Scott and Rachel get more than either one ever bargained for and it has them wondering just where they crossed over the moral line in regards to their marriage. 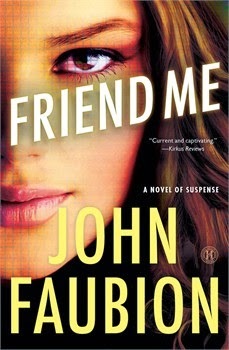 I received Friend Me by John Faubion compliments of Howard Books, a division of Simon and Schuster Publishers for my honest review. I did not receive any monetary compensation for a favorable review and the opinions expressed in this review are strictly my own. This is a chilling thought to know just how close we are in actually having a company create something like this. I could see so many people lining up to create their own "friend" without considering the implications of who is really on the other end with all the information you are feeding them to create that perfect friend. I think John pulled out all the stops on this one and makes you truly consider just who you are allowing to become your friend in all the social media platforms available today and in the very near future. You will not be able to put this one down until you know how it all plays out and John does an exceptional job at keeping the right amount of suspense going to keep you flipping pages! I loved this one and is a must read for suspense fans who love a twist to something that may not be that far off in our own future. I easily give this one a 5 out of 5 stars. You can also find John Faubion on Facebook to stay up to date on all his latest novels. For more reviews on Friend Me, stop by Howard Book's website. Reviews like yours make me glad I write! Thanks so much. Please share with me your comments. I love to know what touched you about this post or how it has blessed you in any way. 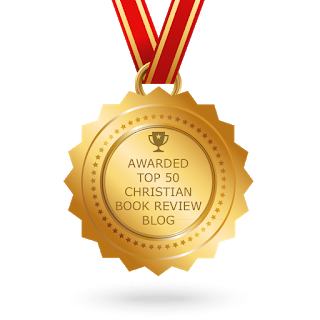 I am an Christian independent book/product reviewer who will be more than happy to review any products or books for you as long as they are faith, family or Christian based. I've been reviewing books, DVD's CD's, and products for almost 6 years now and enjoy the opportunity to provide quality honest reviews for my readers. 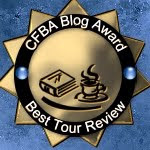 I love all genres of books and have refused to pick just specific categories as I have found that I would have missed out on some great products by doing that. The only books I won't review are books outside the Christian market, for my own personal religious beliefs. I would also be more than happy to post the review on one consumer site such as Barnes and Noble, Amazon, Christianbooks.com, etc. I am not paid for my reviews and receive the products compliments of the companies that wish me to review their products. This is disclosed within the review. If you would like to have me review your products or books, please contact me via my email address in my profile. - 1 Contains sexually explicit content or descriptions. -1 labeled as a Christian novel and clearly isn't. -1 contains witchcraft, sorcery, or new age content. This does not apply to spiritual warfare novels from a Christian perspective. -1 Content is poor-written or has so many characters the reader is helplessly lost or ideas that confuse the reader to the point they simply want to throw the book away. In accordance with the new FTC Guidelines for blogging and endorsements, you should assume that every book reviewed here at Reviews From The Heart was provided to the reviewer by the publisher, media group or the author for free andments were received, unless specified otherwise. 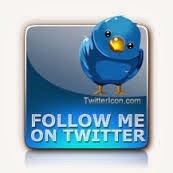 Looking for me on Twitter? Visit Reviews From The Heart's profile on Pinterest.